House of Flowers is the leading Oshkosh florist you can trust for eye-catching flowers and lush plants. Our expert floral consultants are here to help guide you during the ordering process so your personal style shines through in birthday bouquets, sympathy arrangements, wedding flowers and more. Whether you’re sending a small thank you, or planning a large event, we’re honored to be a part of your special occasions. We are a highly recognized member of Teleflora®, a nationwide network of florists committed to quality and artistry. This membership ensures we are able to delight the special people in your life, near and far, even when you can’t be there. 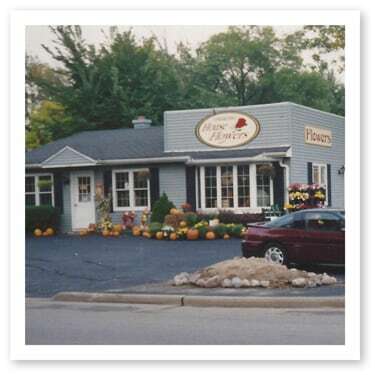 Although House of Flowers was established in 1993, Owner, Jim Kolb has roots in the industry that reach back four generations. 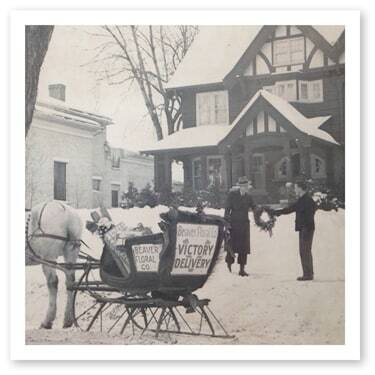 Kolb’s great-grandfather started in the greenhouse and flower business in the early 1900’s and the tradition continued with siblings all owning and operating successful floral operations around the state of Wisconsin. Through this wealth of experience growing up in the business, House of Flowers has grown to become a destination for many to shop for everyday occasions as well as take in incredible seasonal displays. The Kolb family values and maintains long-standing established relationships with vendors and receives the highest quality product throughout the year. Each season the shop is full to the brim with gorgeous flowers, lush plants and trend-setting home accessories. We’re very proud of our heritage in the industry and look forward to serving the occasions that arise and creating a floral experience second to none each time you shop.